Niamey — Between January 2017 and March 2018, IOM, the UN Migration Agency, assisted 1,310 women, mainly from Nigeria and Liberia, as well as 714 accompanied and 445 unaccompanied children, most notably from Guinea-Conakry and Nigeria at its six transit centres for migrants in Agadez, Dirkou, Arlit and Niamey. As a major migratory hub in West Africa, Niger is transited by both migrants on their way up north to Algeria, Libya, and migrants on their way back to their countries of origin. Among them, there are many vulnerable women and children who find themselves in need of urgent assistance. Many of them are no longer able to return to their places of origin, having been victims of trafficking during their migratory journey. Specific areas are reserved for women and minors in the three transit centres in Agadez, Dirkou and Arlit, while one of the centres in Niamey is exclusively dedicated to women. All the women assisted benefit from an individualized monitoring process based on the specific needs assessment. IOM, together with the Ministry for the Promotion of Women and Child Protection, juvenile judges and UNICEF provides a comprehensive assistance to minors including placement at the centre, family tracing, return and reintegration assistance in their region or country of origin. On 8 May, IOM signed a memorandum of understanding with the Ministry for the Promotion of Women and Child Protection. A communications strategy for women traveling to and from Algeria will be developed jointly, as well as a prevention and protection centre for children in Kantché, Zinder region. Starting this month, IOM’s transit centre for minors in Niamey will be co-managed by the two. 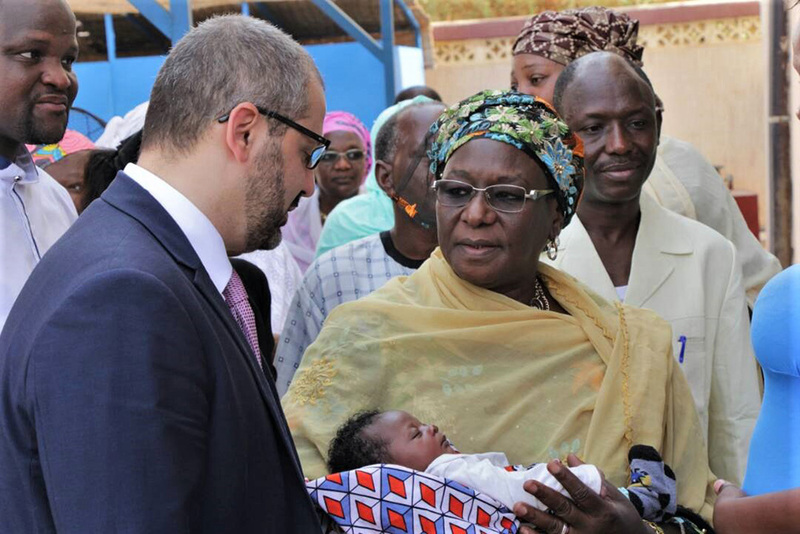 Leading up to Nigerien Women’s day on May 13, Elback Zeinabou Tari Bako, the Minister for the Promotion of Women and Child Protection visited the two centres to see first-hand the results of this cooperation. "I commend this exemplary collaboration with IOM," said the minister during her official visit on 9 May. “The future of Niger depends on the way we treat and protect our children, especially the most vulnerable ones,” she added. During the visit, the migrants at the centres together with the officials, attended a short play written by the women which portrayed their migratory journeys and IOM’s assistance. IOM’s six transit centres in Niger are supported by the Migrant Resource and Response Mechanism funded by the EU Emergency Trust Fund for Africa, through the EU-IOM Joint Initiative for Migrant Protection and Reintegration, and co-financed by the German Cooperation, the Governments of the Netherlands, France, Switzerland, DFID and DANIDA. For more information, please contact Marine Buckenham at IOM Niger, Tel : +227 80 06 66 17, Email : mbuckenham@iom.int.